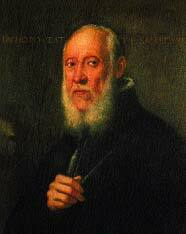 The first quality of great portraiture is the power to reveal the inner character, or story, of the sitter. It is said that every man habitually wears a mask in the presence of his peers, and it is only in moments of unconsciousness that he lets it down. Jacopo Tintoretto (1518-1594), Self-Portrait, Italian, c. 1588. Oil on canvas, 63 x 52 cm. Musée du Louvre, Paris. 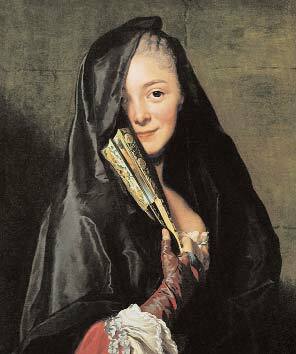 Alexander Roslin (1718-1793), The Lady with the Veil: Marie Suzanne Roslin (wife of the artist), Rococo, Swedish, 1768. Oil on canvas, 65 x 54 cm. Nationalmuseum, Stockholm. 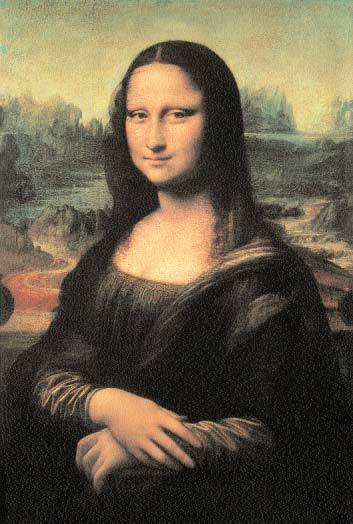 The goal was not only to portray the subject’s physical characteristics but the entire essence of the individual, Aristotle stated that “the goal of art is not to present the outward appearance of things, but their inner significance.” Interpretative portrait painting was often modelled after Leonardo da Vinci’s famous Mona Lisa. The mysterious nature of the Mona Lisa’s facial expression gives depth to her character- the spectator is instantly intrigued and desires to know what she may be hiding. Therefore to attain this level of portraiture, the artist must become cognizant and sympathetic to the spirit of the subject. Leonardo da Vinci (1452-1519), Mona Lisa (La Gioconda), Italian, c. 1503-1506. Oil on poplar panel, 77 x 53 cm. Musée du Louvre, Paris. In addition from a compositional standpoint the Mona Lisa symbolizes perfection, its precise proportions and use of atmospheric perspective also are responsible for its acclaim in the art world. Many portrait painters since, however far from attaining his ideal, have idealised da Vinci and utilised his work as inspiration. James Abbott McNeill Whistler’s power was remarkable in his own circle, while Franz Hals and Diego Velasquez were more universally recognised. Often the personality of the sitter is revealed by a direct gaze that seems to encompass something fascinating about the subject. Whether delightful or solemn, the eyes of the sitter seem to draw the spectator in with a sense of “intimacy” that is difficult to break down and define. This quality is especially evident in the jovial nature of Hals’ portraits, the friendly smiles apparent within Joshua Reynolds’ paintings, the wistful stare captured in Rembrandt’s portraits, and the melancholy appeal within the paintings of Domenico Morone. 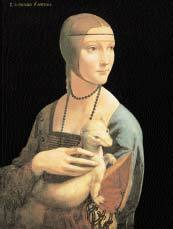 Cecilia Gallerani), 1483-1490. Oil on panel, 54 x 39 cm. At other times the sitter’s glance is averted, and he is quite unaware of observation. The artist has illustrated the sitter in the intimacy of his own self-communion; a trait that is often found in Titian’s subjects. Therefore the artist’s ability to depict the inner nature of the sitter became an incredibly subjective art. Initially when portraiture was only reserved for a specific social class, the aristocracy, the church and the upper middle class or bourgeoisie, it was necessary for the portrait to be a flattering representation of the subject. Eventually artists could freely express themselves in their own introspective manner when painting a portrait. To get a better insight into our books – 1000 Portraits of Genius, continue this exciting adventure by clicking on Amazon, Google Books, Kobo, Scribd, Itune, Barnes&Noble, Ellibs, Parkstone, Ebook Gallery. Shelley’s Art Musings – Delacroix Sexist?